Open until the 17th December the Pop Up Emporium is a shop stocked exclusively by Bedford made or designed goods. Entirely volunteer run we exist to showcase the very best of Bedford talent and to offer local makers, designers and creatives an route to market. We have transformed an empty retail space into a winter wonderland and have been providing the good people of Bedford with jewellery from the likes of Gemmes de Glace, Jane de Lacey Munday, and Rebecca de Winter, art from David Litchfield and Rachel Lovatt , children’s clothes from Mango Jam and all manner of loveliness from both Scarlett Tierney and Anne Marie Stijelja as well as a host of other products. Behind the scenes we are offering business workshops to all sellers and each vendor must man the shop for a few shifts each. This means there is incredible energy around the project and a huge amount of learning is taking place that we hope will leave a lasting legacy from the project. We are also bringing a bit of life and colour to an otherwise empty shop unit, always a good thing in our book. This project has been made possible by a Catalyst fund awarded by the RSA, and the support of Bedford Borough Council. where are you located? Looked everywhere on your site and can’t see an address/location etc..just an e-mail!! 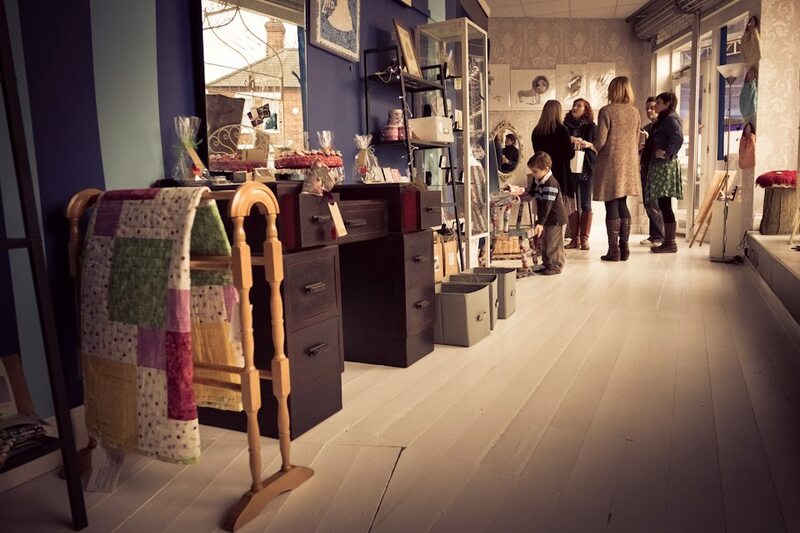 Hi Helen – our Pop Up Emporium only existed for 6 weeks as it was a temporary project. It was in Castle Quay in Bedford while it lasted though!